mnml ssgs: true. techno. music. Great post Chris. 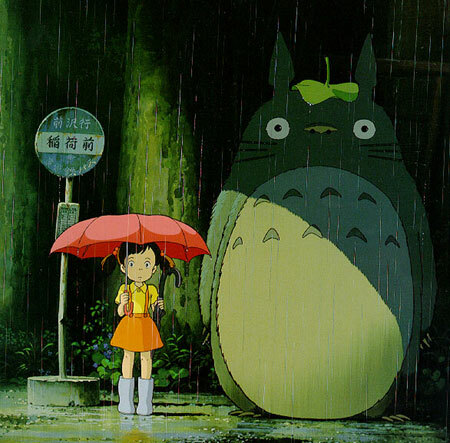 And great use of Totoro. I totally agree on the passion and inspiration thing. For me Labyrinth plays the biggest role. Every year, just when I'm beginning to feel tired and sluggish and the previous year's Labyrinth-euphoria is sort of wearing off, I go back and I'm reminded again how much passion and inspiration there is. But this year was especially moving. The background of the party and organizers, the amazing artists, and the great people there, it was all great. Thanks for all your hard work, each of you SSGers. And thanks for popping in to LWE's comment section to help stir the pot a little. Well I came across this blog about 1'4 of the way through the year and it opened me p to a hell of a lot of amazing music (and other blogs linked too) to the point where I feel like i'd actual like to start playing again after a few years of losing interest. i really want to thank the crew and members of mnml ssgs for their passion and believe in the music. i must admit i've lost touch with the true. techno. music. but thanks to you i'm back on track. more passionate than ever, more willing to achieve my goals and - most importantly - to live my dreams. many many many thanks and great respect for keeping this (scene) alive. i wish each and everyone of you a great 2009! I am a big fan of your blog as an anonymous person. I feel I must finally write to tell you that I am so happy to find a blog that talks about music in the way you guys do. And as a artist I love to engage in this dialog even if it is one way. Thanks, and hope to see more in 2009. Big thanks for everything guys. This blog has been an awesome resource this year. So many rainy days have been brightened up a bit by the ssgcasts, and heaven knows the commentary is dead on! 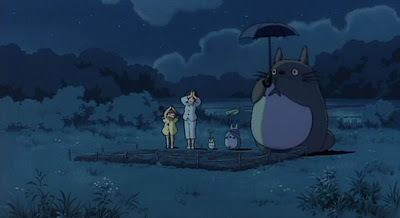 Nice one on the Totoro, as well! not to detract from the post, but the marcel dettmann resident advisor podcast is blowing my brain up right now. this makes me think "true techno music" more than anything. good lordy! i got on day 1 via the "mnml board" and i have never looked back. i look forward to checking this blog everyday i am able and i can honestly say i have not been back to "mnml" in months cause you all offer so much here. from the mix series to the recommendations and forecasts i use this blog as meeting place and cheat sheet(we don't get much up here in seattle) for what's hot what people are saying about it. i have built a trust for you hope to see it go through 2009. my one gripe? what happened to "the mountain people" in 2008? you said they were gonna be huge. anyways... keep it up. 10. BRUNO PRONSATO - why can't we be like us? 8. yamataka eye - RE...REMIX? thank you for a great year mnml ssgs !!! We need more academics in techno. The theory and criticism is at least half the fun of listening to these never-ending loops of bleeps and basslines that we call music. On the Dettman note, I'm dying for someone to explain to me why he's going to Boston and New York but not Chicago. His "Let's Get Over it" remix was my top song of the year (I alternate every week between that and 2562's "Techno Dread"). Someone convince the LWE people to pull off some magic. on this very last day of the year, the mnml ssgs mixes are the soundtrack of the day. just finished number 1, bvdub. atm norman nodge is playing. it's cold outside, i'm too lazy, so i'll just stay in bed for a couple of hours, preparing myself mentally for 2009. I haven't posted here before, but I'd just like to say nice job for the blog, you seem to have really good music taste, and attracted to the same aspects of music as me. I too rediscovered techno this year. In my opinion, 2008 was a great year for techno, and I believe mnml ssgs had a lot to do with it (at least, for me). With groundbreaking releases from Marcel Dettmann, Function, and Peter Van Hoesen (to name only a few) to the excellent mixes from the mnml ssgs mix series by Mike Parker, Donato Dozzy, and Marcel Fenger, I was inspired to begin making music again. It sounds cheesy (and I’m not a fan of cheese) but mnml ssgs has influenced me more than any other source, second being Richard Brophy’s Test Industries blog. I stumbled across your blog in April while I was searching for a mix by Marcel Dettmann. I downloaded the Marcel Dettmann and Len Faki at Houztekk Radio Show 1.2.08 from your blog and have been a frequent visitor ever since. I remember emailing you shortly thereafter for a tracklisting and eventually it became a dialog about the fresh sounds resonating from the Berghain camp. You even said they’re onto something big; you were right. In addition to tipping the next big thing, the ssgs initiated a desperately needed conversation about the merits of some artist who will go unnamed considering the uncalled for backlash that ensued. Unfortunately, blogs like mnml ssgs are rare, where the music trumps profit, which makes your blog, and other like it, critical to the advancement of EDM. To address your concerns, in my opinion, the longer and more intellectual the post the better. I live in a town were EDM is frowned upon and mnml ssgs has kept me company on many lonely days. For this and everything else, thank you. Can someone please give me a couple of examples of fake.techno.music? and I've got to say it has some problems! .. and I think other ppl here are starting to see them close in.. I think the main prob is if you listen to say hip-hop the variations in beat at 90bpm add the live element of an mc [realtime/human] and is can really blow techno out of the water! ..
Been as party where techno played all night then some good mc's decided to rap 4 bit .. the immediacy and presence of it was glaring in contrast to techno.. I think incorporating indian time sigs [densly] over 4/4 is the *only* way forward..
note indian percusion music is not boring to listen to cause of time sig..
this stuff is hard to find! only way for 4/4 to compete!